Aashiyana Arts are husband and wife Sohan and Aruna Kailey, a dancing couple who provide creative arts dance performances and workshops in Indian dance genres of Bhangra dance, Bollywood dance (Indian film dance), Indian Street dance fusion, Indian classical dance, Egyptian Bellydance, Contemporary and creative movement to music. 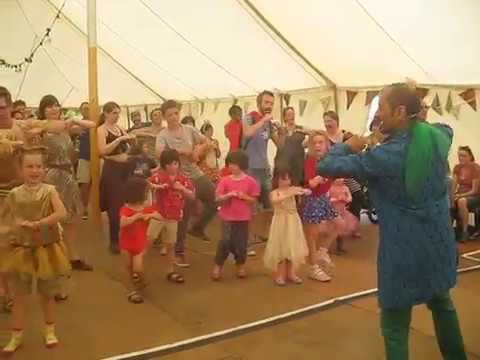 They provide powerful and dynamic Bhangra and Bollywood dance performances and audience interactive workshops at major events and family festivals. Wychwood Music Festival, Cornbury Music Festival, Greenbelt Festival, Geronimo Family Festival, Just So Festival, Also Festival, Birmingham Arts Festival, Alchemy Arts Festival, Warwick Arts Festival, New York Arts Festival and Mela among many others. The organisation is based in Solihull, West Midlands, England and was founded in 2008 by Sohan Kailey, a performing artist and dance practitioner. Sohan has been involved in the performing arts for many years and has worked with various organisations to engage audiences in dance and performance. Sohan has worked closely with the International Indian Film Awards (IIFA) and Wizcraft International Event Management.